Your septic system is a part of your home that you really don’t want to have to worry about, especially when you realize that a problem with your septic tank can quickly cause a huge mess and a lot of damage. As a homeowner, you want to do everything that you can to make sure that your septic tank is functioning the way that it should. 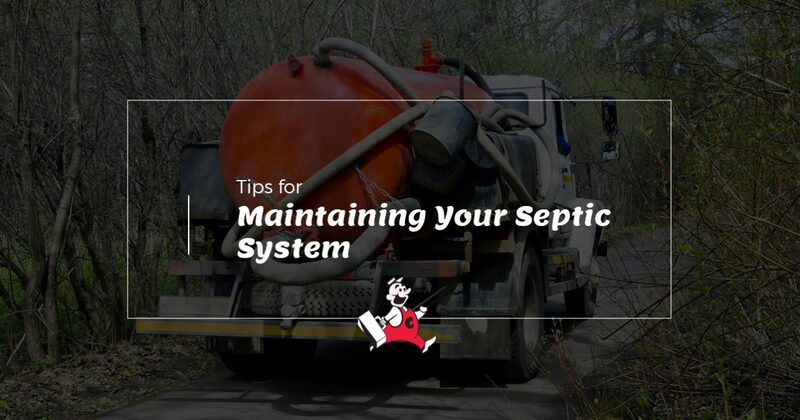 In today’s post, we will give you a few tips for how to properly maintain your septic system to ensure that you don’t have any problems. The best way to make sure that your septic tank is doing its job is to have it inspected and cleaned by a professional on a regular basis. If you live in Dade or Broward County, the experts at Coker Septic and Plumbing offer 24/7 septic tank maintenance to help your system run efficiently and effectively. As a Top Rated Local® septic cleaning company in Florida, you can rest assured that our experts have years of experience and will provide you with the services you need. Browse our website to learn more about what we have to offer and give us a call to schedule an appointment at a time that is convenient for you! In order to properly maintain your septic tank, it’s a good idea to have a basic understanding of how the system works. Each system is comprised of two parts, the septic tank and the drainfield. All of the water that you use in your home runs down the drains and collects in your septic tank. Once the water is in the septic tank, it splits off into three levels. The first level consists of waste that floats to the top, such as oils, grease, and fat. Below the floating waste is the wastewater, and below the wastewater is a collection of waste that falls to the bottom of the tank. Your septic tank is full of bacteria that breaks down the wastewater and the solids on the bottom of the tank. Once everything is broken down, the water will leave the septic tank and go to the drainfield. The job of the drainfield is to cleanse and filter the water before releasing it into the ground. Much like any other appliance in your home, your septic tank can start to function less effectively if it is overworked. You can help with septic tank maintenance by limiting water usage in your home. Every time you use the sink to wash dishes, flush the toilet, or take a shower, the water goes down the drain and travels through the pipes into your septic tank. Depending on the number of people in your home, your water consumption can quickly add up. Take into consideration how much water you use on a daily basis and how that may be affecting your septic system. In some situations, you may find it easier to get rid of your waste by flushing it down the toilet instead of throwing it in the garbage. However, everything that you flush, grind up in the garbage disposal, or rinse down the drain, ends up in your septic tank. For this reason, it’s vitally important that you dispose of your waste in the proper ways. There are certain substances that the bacteria in your septic tank are not able to break down, and any waste that doesn’t break down will build up in your system, which can cause problems if left untreated. Items such as cat litter, cigarette butts, dental floss, diapers, and other items that don’t naturally decompose, should be disposed of in the trash can and not flushed down the toilet. While your septic tank can go three or four years without needing to be pumped, it’s still important that you have your septic system cleaned and inspected on a routine basis. Having your system cleaned will decrease the chance that you will have a problem as a result of a backup, and the septic tank experts performing the maintenance will also be able to tell you if they find any areas of concern. If you live in Dade or Broward County, the professionals at Coker Septic offer 24-hour septic tank maintenance services seven days a week. Whether you’re experiencing a problem with your septic system or you need to schedule a routine inspection, you can count on our team to get the job done. Learn more by browsing our website or give us a call to schedule an appointment today!